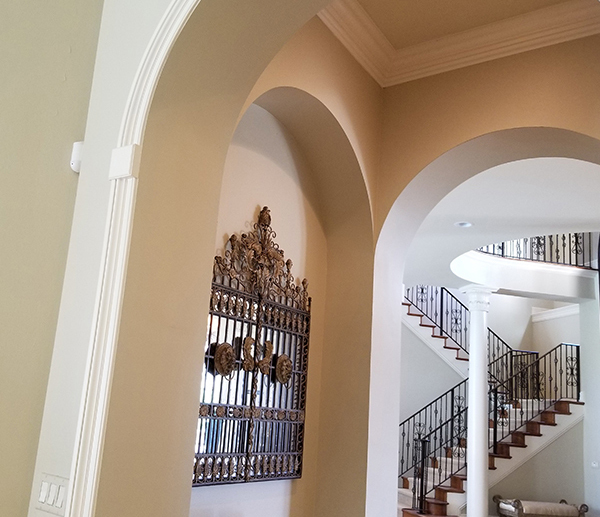 If you are looking for a residential painter in Naples, Bonita Springs or Fort Myers, Florida who pays close attention to detail, has all of the latest equipment and a great reputation, Bellmore's Finishing is your best choice. We have the experience and technical expertise to get the job done on time and within budget, while providing exceptional customer service every step of the way. One of the most common home improvement projects is "investment painting". By hiring a well-established, professional painting contractor you will ensure the job gets done properly and that the end result exceeds all of your expectations. A great paint job starts with detailed preparation which includes proper taping, protection of your furniture and flooring while also being mindful of your use of the space during the project. Remember, painting is an investment that adds value to your home. What Makes a Good Painting Contractor? Experience - The old saying, "Practice makes perfect" still rings true. A painting contractor should have (at the very least) a few years of professional experience. Employees - Hire a painting contractor who has their own people working with them, as opposed to a sub-contractor. When you hire a painting company that employs their own team of painters, the quality is far better as they are more personally invested in doing a great job. Licensing - Only hire a local painting company that is licensed in the county/state where the work is to be performed. This protects everyone (painters and homeowners). Insurance - Be sure you are hiring a professional painting contractor who is not only licensed to work in your county but ALSO carries the proper insurance so you are further protected as a homeowner. Prepping the Job - Properly preparing the area(s) to be painted is an important part of the job. How well prep work is done shows up in the end results. Estimate - Always get a written estimate before any work is done. Proudly serving all residential painting needs of Southwest Florida homeowners since 2007, give us a call today for your free estimate!